Enchiladas are one of those nostalgic dishes that always unleash a flood of memories. An icon of my childhood - the tang and bite of the red sauce; the soft, slightly sweet blanket of corn tortillas, so supple they melt on your tongue; the creamy, rich fried egg which saturates everything in golden opulence the moment you slice into it. They were something I'd request on every birthday growing up. My mother would prepare them the old fashioned way - by lightly frying each tortilla in hot lard before gently filling it with tender, slowly simmered meat and a peppery red chili sauce. She'd roll each one individually and secure it with a wooden pick, then line them neatly in a baking dish before enveloping them all in another layer of tangy sauce. It was topped with a dense crown of grated cheddar or Monterrey Jack, and baked until everything was bubbly, crisp, and delectable. While the enchiladas baked, she would cut the remaining tortillas in wedges and fry them until crispy in the remaining lard. Then she'd drain the oil and fry the eggs in the hot pan. There was always a pot of re-fried beans heating slowly on the back burner. And calabacitas with extra garlic in the oven. I've simplified things a bit (this is my go to enchilada recipe for busy week nights), and I've lightened them up while still retaining the authenticity of the dish. I use ground bison in place of beef, which may be a little more authentic considering the animals native to this part of the world. Bison is fairly easy to find here, and I prefer it to beef. It is always grass-fed, adapted to the land and climate where it's raised (making it more sustainable than beef), and it has a deep, gamy flavour which stands up well to the heat of the red sauce in the enchiladas. If you can only get ground beef or pork, however, these work just as well. Instead of frying each tortilla separately, I layer and stack them in the baking dish like lasagna. 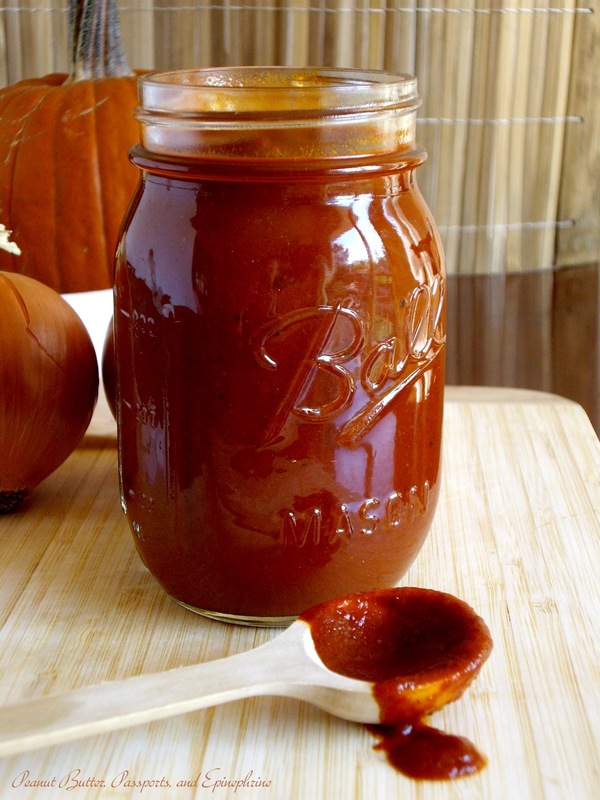 The sauce can be made well in advance and stored in the refrigerator for up the 3 days - just be aware that if you use coconut oil, it will solidify. Heat it slightly to soften and add a little water if it seems to tight. Traditional Enchiladas Montadas are the stacked enchiladas of New Mexico. The tortillas are layered with meat, cheese, and sauce and stacked one on top of the other on a plate. The tower is then topped or mounted (montada) with a fried egg, which is how these enchiladas earned their unusual name. The egg is optional, but in my opinion, enchiladas are not enchiladas without it. Heat the oil in a sauce pan over medium heat. Add the flour and whisk for 1 minute. Add the chili powder and whisk for 20 - 30 seconds until toasted and just fragrant. Whisk in the chicken stock, tomato paste, oregano, cumin, molasses, and salt. Simmer for 10 - 15 minutes, stirring occasionally. Taste for seasoning. It may seem very spicy, but it will mellow a little in the enchiladas. Either use immediately or pour into a jar, cover tightly, and store in the refrigerator for up to 3 days. Makes 2 1/2 cups. Preheat your oven to 375 F (190 C). Grease a 9 x 13 inch baking dish. In a large skillet brown the bison. Add the onion and garlic and cook until just soft. Stir in the olives and 1 1/2 cups of sauce and simmer for 5 minutes. Add a splash of water if the sauce is too dry. Set aside. Cover and bake for 25 minutes. Uncover and bake for 10 - 15 minutes longer until bubbly and brown. Let set for several minutes while you prepare the eggs. 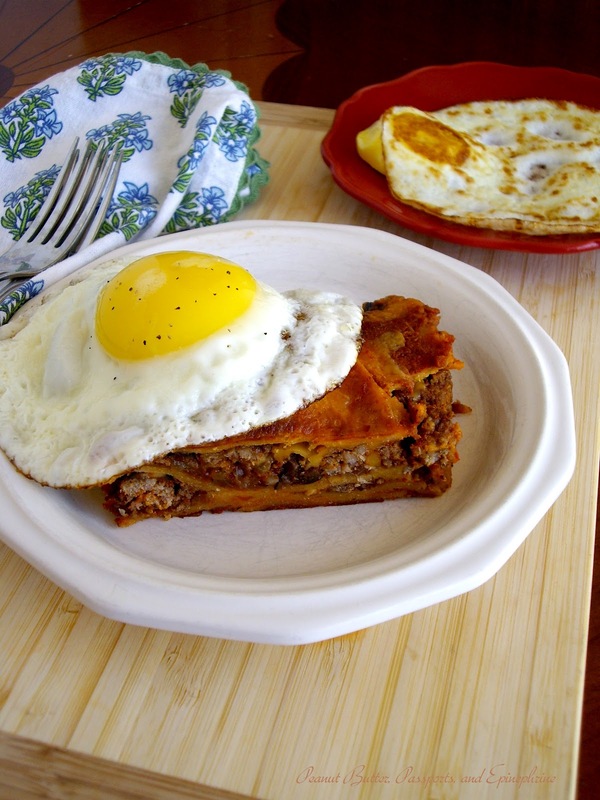 Cut the enchiladas and serve each piece topped with a fried egg. This looks so good! What a wonderful family recipe. I love the spices in the sauce. It's interesting you used bison too. Thank you, April! Bison is really perfect for this recipe.